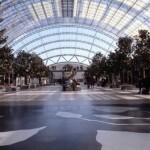 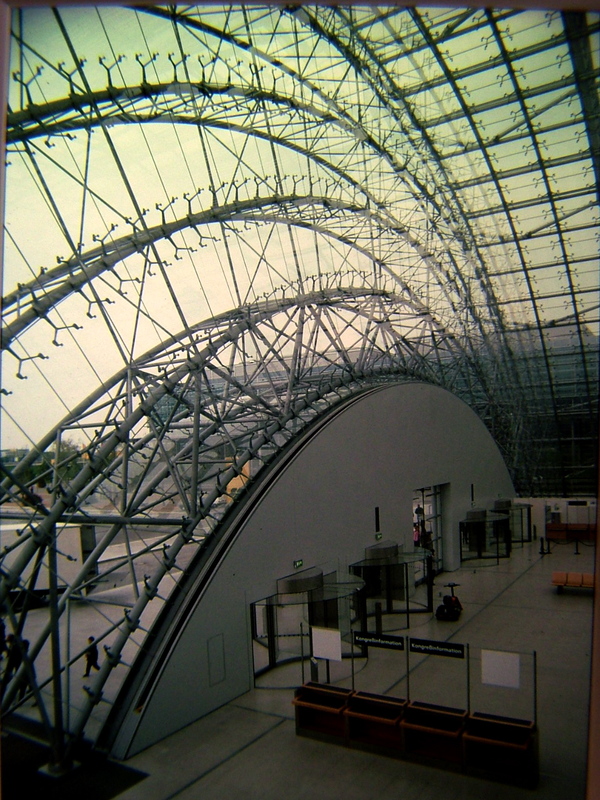 (Project director with IRA) The central hall of the new Leipzig trade fair buildings, 240m x 80m x 30m high, links all the exhibition halls via glass bridges and fulfils multiple functions. 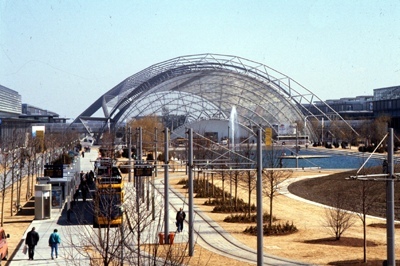 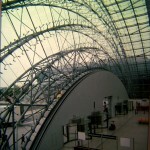 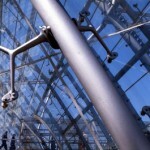 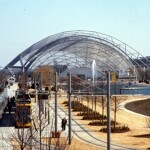 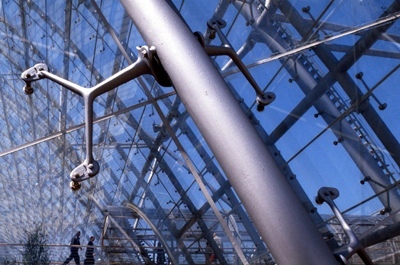 Glazing is suspended from an external steel gridshell stabilized by arched trusses and connections allow for large movements between steel and glass. 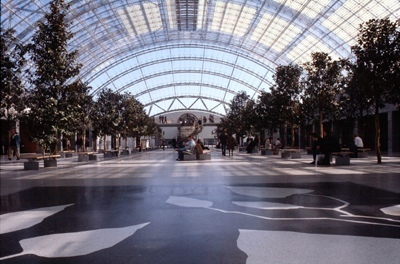 The space is simply conditioned by natural ventilation and underfloor coils, with recycled rainwater providing additional evaporative cooling in summer.